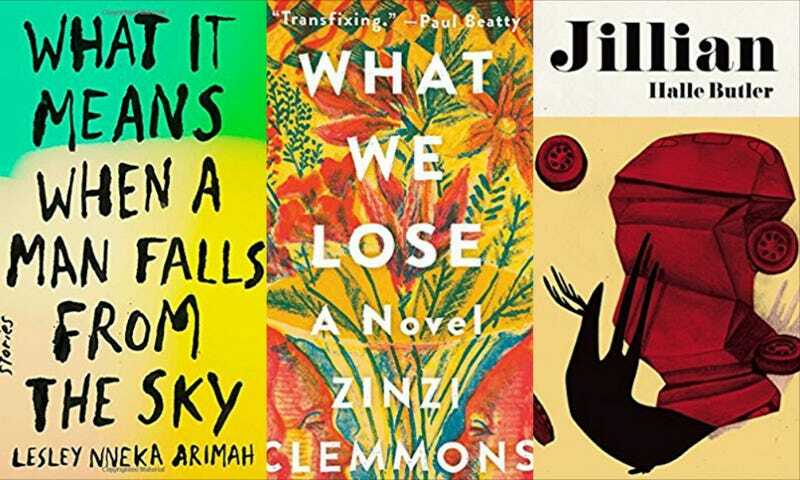 The National Book Foundation announced their 5 Under 35 honorees for 2017 today, and in a fun twist, all five nominees are women and three are women of color. Each author selected are writers who have published their first and only book of fiction within the last five years and the winners of this honor are selected by an author that has won a National Book Award, been a finalist or been previously recognized by the 5 Under 35 program. An all-woman list has only occurred once before in the award’s history. This year’s list includes a healthy mx of short stories and novels: Lesley Nneka Arimah, author of What It Means When a Man Falls From the Sky: Stories; Halle Butler, author of Jillian; Zinzi Clemmons, author of What We Lose; Leopoldine Core, author of When Watched: Stories; and Weike Wang, author of Chemistry. With this new honor, all five women join the ranks of previous winners including Angela Fluornoy, Valeria Luiselli, Karen Russell and Téa Obreht—all of whom have written some of the most arresting and interesting fiction in recent memory. It’s one thing to hear the names of these authors and their novels and to file the knowledge away as something you’ll get to one day, maybe. But reading these women’s work is essential. Arimah’s short story, “Who Will Greet You at Home” was published in the New Yorker in 2015. An excerpt of Butler’s darkly comic novel Jillian was published as part of Granta’s Best of Young American Novelists” issue in April of this year. Clemmons’s What We Lose is a deeply personal coming of age story with a distinct voice; read an excerpt of it here. When Watched is a slim volume of short, intimate stories with a sharply-tuned ear for dialogue; read “Smiling” here. Wang’s novel Chemistsry is yet another coming-of-age story, that “astutely juxtaposes the elegance of science, the anxieties of finding a place in the world, and the sacrifices made for love and family;” read an interview with Wang about her inspiration at NPR and an excerpt from the novel here. Each winner will receive $1,000 and be honored at a special awards ceremony on November 13.